How to watch Green Zone (2010) on Netflix France! Yes, Green Zone is now available on French Netflix. It arrived for online streaming on April 14, 2019. 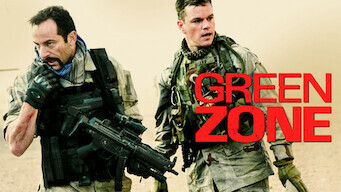 We'll keep checking Netflix France for Green Zone, and this page will be updated with any changes. An intelligence agent doesn't want to hear what a warrant officer has to say about not finding weapons of mass destruction in Iraq. Why the cover-up? Good soldiers don't ask questions, but he's seen too much. They aren't on the same side anymore.